Henri Fehr was born in Zürich, on 2 February 1870. He attended secondary school in Geneva and began studying mathematics in Geneva as well. He continued these studies at the Eidgenössische Technische Hochschule in Zürich, but finished them in Paris, where he obtained the teachers' licence, the licence ès sciences mathématiques in 1892. Fehr began his career as a mathematics teacher; he taught in Geneva, at the École professionnelle and the Collège, but also lectured, from 1895 to 1900, at the university as a Privat-Dozent, introducing courses on projective geometry and infinitesimal geometry. He succeeded in 1899 in obtaining the doctoral degree at the university of Geneva, with a thesis on Grassmann's vectorial analysis. Just a year after, in 1900, he became professor for algebra and higher geometry at the Faculté des Sciences of the University of Geneva. Dedicated to teaching, he proved to be a pedagogue of exceptional qualities and enjoyed remarkable successes in teaching. In addition, he published numerous research papers. Fehr maintained his position until his retirement in 1945. Several times he was chosen to act as dean of the faculty and as vice-rector and rector of the university. He was one of the founders of the Swiss Mathematical Society, in 1910, and became its second president, from 1913 to 1915. Likewise, in 1928, he was one of the founders of the journal Commentarii Mathematici Helvetici. For twenty years, as part of the Euler Commission, he contributed to the publication of Euler's Opera Omnia. Fehr died in Geneva, on 2 November 1954. Fehr's chef d'œuvre is the journal L'Enseignement Mathématique. Together with his friend Charles-Ange Laisant (1841-1920), he founded it in 1899 as the first international journal emphasizing communication about issues of mathematics teaching, across the respective national borders. The motivation of the two founders for this dedication to teaching was tied to ideas of internationalism and solidarity, based on social and political ideals. The journal succeeded not only in establishing an effective international communication about mathematics teaching - actually concentrated on secondary schools -, but even contributed to the progress of international cooperation: establishing of the first ICMI - the Internationale Mathematische Unterrichtskommission (IMUK/CIEM) - in Rome in 1908 would not have been possible without the work of this journal. In fact, when the Comité Central of that committee was constituted, Fehr became the secretary of IMUK. He maintained this position when the organisation was revived in 1928, so that he represented its continuity, until after WW II. When ICMI was reconstituted in 1952, Fehr was chosen as one of the members of the committee of five appointed to draw up the plan for resuming the work. When this committee co-opted new members to form an ICMI Executive Committee, Fehr was elected its Honorary President. After the constitution of IMUK/CIEM, L'Enseignement Mathématique had become the official organ of the committee. When the impetus for reforms faded away, since the inter-war period, it became, however, essentially a journal for pure mathematics. 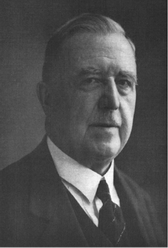 Beyond the journal and the international work, Fehr was active as well in the Swiss Association of Mathematics Teachers; from 1905 to 1909 he acted as its president. 1912, L'enseignement mathématique en Suisse, Rapport publié sous la direction de H. FEHR, Bâle et Genève, Georg & Cie.
E. B. WILSON, "Application de la méthode vectorielle de Grassmann à la géométrie infinitésimale", Bull. AMS, Feb. 1901, 231-233. DANIEL CORAY et al. (ed. ), One hundred years of l'enseignement mathématique, (L'Enseignement Mathématique: Genève, 2003).